3 years & up. Learn all about the different sea creatures that live in our world! Encourages dramatic play and scientific learning. Set of 11 aquatic species. 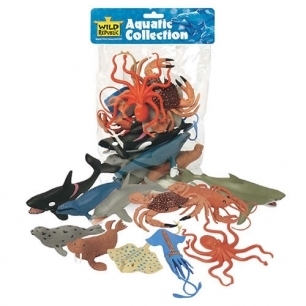 All plastic sea creatures are phthalate-free. Products have been tested to different international toy safety requirements.